With my mom, dad and brother! I could not have dreamed of a better experience for her than the one [J] had with you. and content is a huge part of our shared life vocabulary in so many ways. 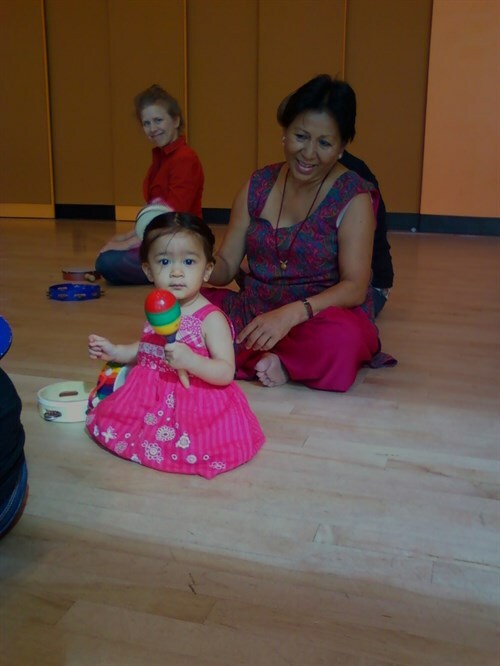 With my grandma and a rainbow maraca! With my care-giver and our friends! your music and activities as much as the children.